For a copy of the Jana-CalSTRS open letter published on Saturday, January 6, 2018, referenced below, click here. The activist fund has traditionally focused its energy on share price improvement and M&A. Now it has a social impact fund with a different kind of campaign at the iPhone giant. 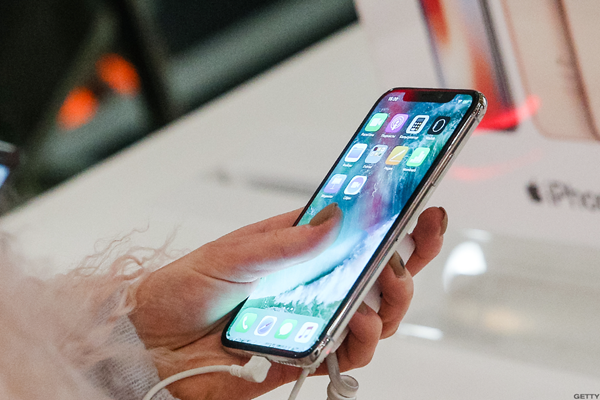 Activist fund Jana Partners and a giant California public pension fund launched a new kind of activist campaign over the weekend, joining forces to urge Apple Inc. (AAPL) to take action to curb smartphone addiction among children. The campaign, which sets up a special impact fund for the campaign, represented an unusual shift for the activist investment firm headed by Barry Rosenstein, who typically targets corporations with efforts seeking to improve their share price through operational changes or M&A. Jana and its partner, the California State Teachers' Retirement System, issued a letter Saturday full of statistics and data about child overuse of iPhones and their impact on sleep, depression, and risk of suicide. The effort should be lauded. But is there a bigger picture beyond protecting children? Yes. The investment will almost certainly help Rosenstein as he seeks capital allocations from public pension funds for his traditional activist fund and its more aggressive, less friendly agitations. For example, the campaign is likely to help Jana maintain a strong relationship with CalSTRS, its partner in the Apple effort. Also, it could help Jana Partners gain support for its campaigns in the form of the votes of big institutional investors, whether they have the fund's back in behind-the-scenes negotiations or public boardroom battles. The campaign fits squarely within the category of environmental, social and governance activism, or ESG, an investing category that sizeable public pension funds such as CalSTRS as well as the primary index funds, including Vanguard Group, State Street, and BlackRock, are concentrating on heavily. Shane Goodwin, chief of the Columbia Law School shareholder activism research project, suggests that the new Apple campaign indicates that Jana Partners is motivated in part by seeking to get on the good side of index funds, who are often the largest investors at corporations targeted by activists. "These index funds are very focused on ESG for the 2018 proxy season," Goodwin said. "You [activist] need the top three index funds if you are going to win your campaign. Is Barry [Rosenstein] trying to rebrand himself as constructivist in the boardroom?" Gary Lutin, the founder of the Shareholder Forum, suggests that the Jana-CalSTRS partnership and Apple effort is a very constructive development because it demonstrates that a professionally managed activist hedge fund is focusing on something that supports the foundations of fair business practices. "It is good positioning both for Jana Partners' specialized purpose fund, and it is good for their public image, anything they are doing," Lutin said. The effort has already developed a lot of buzz, with news articles and TV interviews on the subject, in large part because Rosenstein and Jana Partners were included in the effort. Will other activists and pension funds join forces with similar social campaigns in the future? Expect it, experts say. Andrew Freedman, a partner at Olshan Frome Wolosky LLP in New York, argues that the partnership goes a long way towards building goodwill between Jana and the ESG-focused institutional investor community at the same time that it also generates good PR and visibility for Jana. "It could also spearhead a trend among the top tier activist investors to seek to wield their influence more holistically on other fronts and issues at public companies," Freedman said. Columbia's Goodwin agreed that the kind of collaboration exhibited by Jana Partners and CalSTRS would be followed by other funds, though he said he didn't know if other investors will employ similarly formal arrangements. "You are going to see many others do this," Goodwin said. "Some of the well-known activist funds have been privately doing things in the philanthropic arena in part to get a halo effect around their name." Even so, don't expect Rosenstein to launch a director-election proxy contest if Apple doesn't respond to the Jana Partners-CalSTRS demands. In fact, observers argue that one of the reasons Rosenstein targeted Apple for the campaign is because there is a great likelihood that the iPad and iPhone maker will respond in some way he can say was a win for his campaign. Columbia's Goodwin argued that Apple seeks to be a good corporate citizen, so the smartphone maker makes for an easy target. "It's an easy win," Goodwin said. "Going after some other corporations would require a bigger fight." Next on the agenda? A pension fund-hedge fund partnership targeting Coca Cola's impact on childhood obesity? Only time will tell. 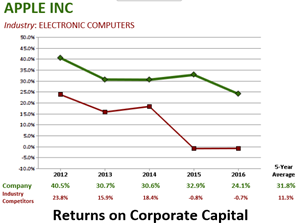 Full-size graphs of this and other companies you may select can be generated on the Shareholder Forum's websites for Returns on Corporate Capital™ and for Shareholder Support Rankings™. Definitions of both analyses are presented below. © Copyright 2012-2018 The Shareholder Forum, Inc.